It comes in handy when two worlds collide. 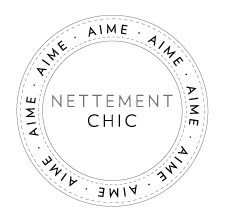 When one of those worlds is Nettement Chic, my sister's online shopping guide and the other is my personal shopping business, even better. When you add the request that I become a Nettement Chic tester and test the Matches online shop, well, how could I refuse! And as I take this kind of responsibility pretty seriously, here is my report. I have always enjoyed bold, clanky jewellery, particularly if it has a silver gleam to it so when I spied this 3 strand beauty by Maxmara online at Matches I snapped it up. When it arrived the parcel looked rather large, larger than I was expecting but on tearing open the packaging I discovered the most scrumptious box covered in a venetian paper print which happens to go perfectly with the colour scheme in my spare room and now houses my clutch bags (of which more next time)! To meet the Personal Shopper, click here.